with a splash of real Jack Daniel’s® Old No.7 Whiskey. Jack Daniel's Reminds you to Drink Responsibly. 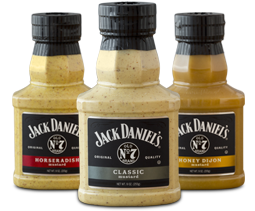 "The trademark Jack Daniel's® and Old No. 7® are registered trademarks used under licensed to T. Marzetti Company.